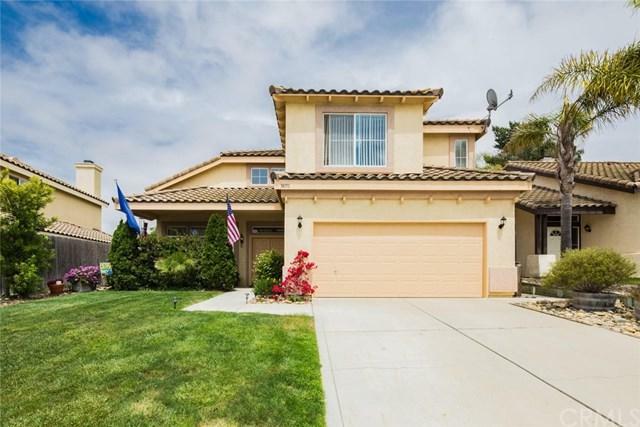 Beautiful 2 story, 4 bedroom 2.5 bath, 1742 sq foot home on quiet cul de sac in desired Las Brisas Neighborhood! Hard surface floors throughout first floor (tile, laminate.) Gas fireplace off family room with laundry room downstairs. Separate formal dining area downstairs as well. 4 bedrooms and 2 full baths upstairs. Master suite with vaulted ceiling & en-suite bathroom, walk in closet. 2 car garage with workshop area and built in cabinetry. Mature landscaping including palms in front yard and fruit trees (Citrus, Pear, Apple, Avocado) in fenced back yard. Near schools and shopping and easy access to hwy 101. Exclusions Sconces in Dining Area Are Excluded From Sale. Inclusions Refrigerator in Kitchen & Garage included washer/dryer in Laundry Area included.